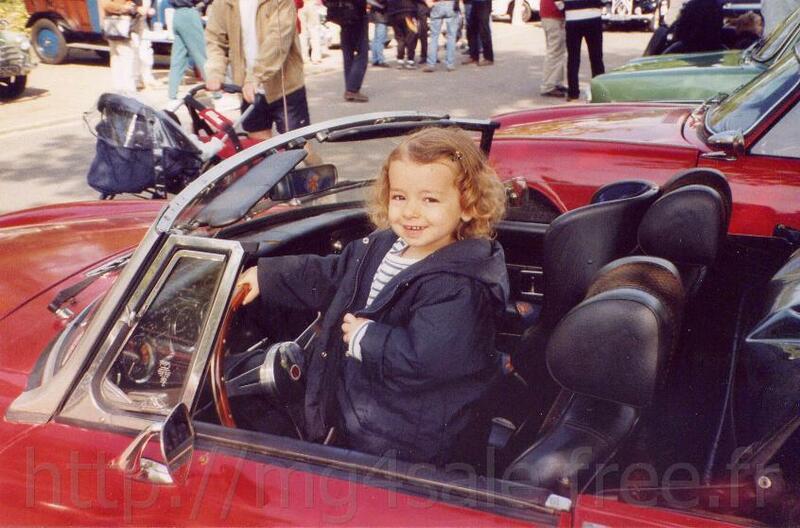 The 1973 MGB is sold since january 1st 2006. Therefore, this website remains online. 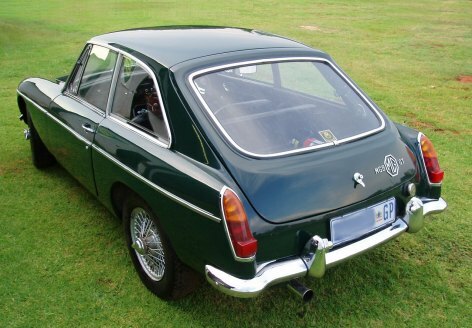 We hope the few informations available will help you to find, buy or sell a MGB or MGB GT. Last update : august 24th 2008. The 1967 MGB GT is sold. We will now search for a real 4/5 seater classic car, probably a 1960 to 1975 Jaguar or Daimler. 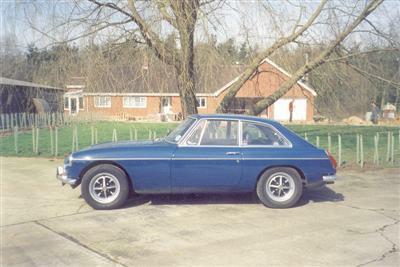 Or alternatively a Rover, MG or Triumph from the same period. ADVICES TO FIND A MG OR MG SPARE PARTS. CLICK HERE. Why ? Simply because I bought it while single in 1997, and now that we are a family of three, I had to choose between my wife and my daughter as passenger (more often my daughter!). We were not confident at all while beeing three people travelling in the MGB with our daughter sitting 10 centimers behind the front seats and with no safety belt ! So I advertised it for sale in october 2005 and finally sold it on january 1st 2006. Jensen Interceptor : very nice, luxury and confortable, affordable at first glance, but the cheaper is the car, the higher are the restoration costs, the Chrysler V8 means 13 miles per gallon when cruising. Triumph GT6 : it can not be said it is a 4 seater. Lotus Elan +2 : very a nice and with good performance (thanks to its twin cam engine with a pair of weber or dellorto) and its polyester body never rusts (but the steel chassis needs to be replaced by a new Lotus or Spyder chassis if not already done !). BUT there is no reliability at all from electricals. It has a reputation of car for true enthusiast only. The Lotus is known for its great ability to start burning (almost as well as the Lamborghini Miura !). Finally we agreed to look for very a nice, reliable and typically british car type, where 2 children from 3 to 8 can travel on the rear seats : the MGB GT coupe. My daughter wanted it green (BRG), my wife better liked blue (Mineral Blue) and I still wanted a Tartan Red car (well at least we agreed on the car type). Moreover, the MGB (roadster or GT) is, as well as other british car types -mostly the Triumph Roadsters (TR)- one of the easier classic car to own and look after : very reliable and with almost every spare parts available new. This can be a car for everyday use and you do not have to worry about finding a rare spare part in autojumbles. 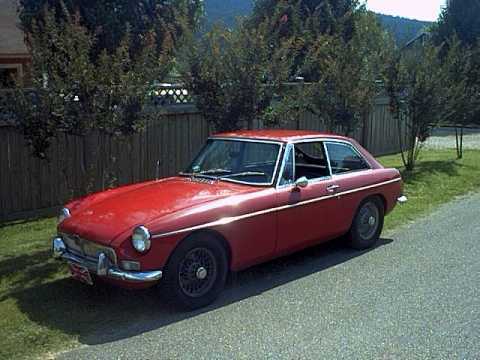 First, I evaluated the option of buying a MGC GT or a MGB GT V8. But MGCs are much higher priced even with their reputation for bad handling and understeer due to the 6 cylinder overweight on the front drivetrain. And the MGB GT V8 is a right hand drive only car that were never imported in France, so it would be painful to make it road legal in my country. 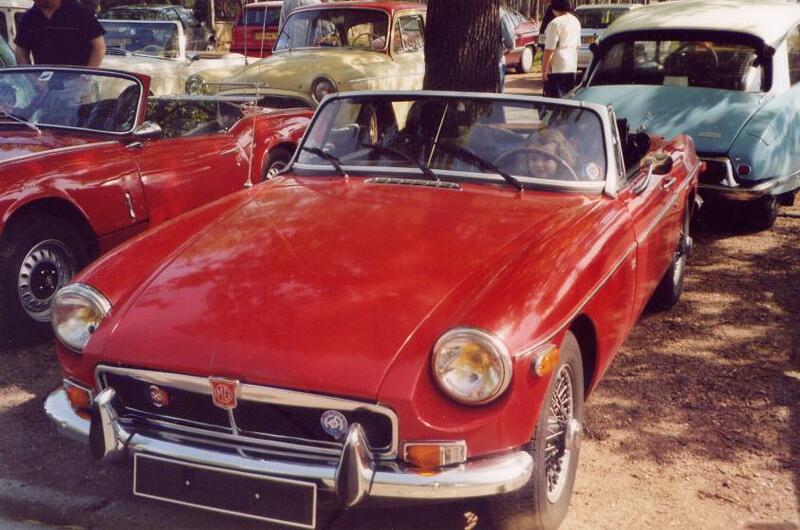 The MGB is not the only desirable sports car, other classic sports cars shown at classicsportscars.eu. Classic Cars - The Classic Cars Info Page - classic cars articles and resources.